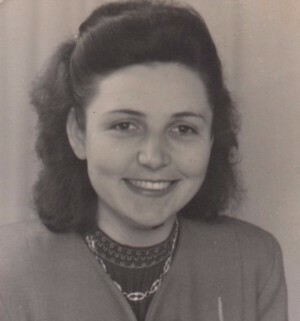 Ilse Wilhelmine Pfaff Woislawski was born in Saarbrucken, Germany on July 14, 1924. Saarbrucken is located on the border of France, and July 14 is Bastille Day. As an only child to Friederich and Karoline “Lina,” she was told that the annual festivities were to celebrate her birth. Ilse survived WWII. Aerial bombs destroyed her family home and all contents, and she lost many loved ones. Ilse and her family were starving and relocated throughout the war. However, towards the end of the war she was in the Luftwaffe. She said that the only thing she did while in the Luftwaffe was show up for meals, and that she was on lockdown most of the time for disobedience. That was Ilse. She married four times. Her first husband was to an American soldier who brought her to Newport, Oregon. Her second husband was W.G. Walser who was the father of Ilse’s first child, Tammie Neve. Ilse then married Gordon Alexander who was the father of Ellen Winningham (married to Curt Winningham). Lastly, she married Sigbert Zelik Woislawski who passed away in 1979. At 92, she outlived them all. Her claim to fame was in 1983, when Lieutenant Governor John Cherberg presented Ilse with the Washington State Distinguished Citizen Award. Cherberg loved hearing stories of her life and survival. Ilse worked for years in the credit department at Frederick and Nelson’s downtown store. She stayed in touch with friends from Fredericks, and looked forward to lunch dates with the ladies. 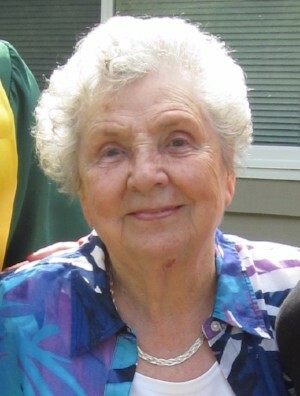 Ilse was a great cook, loved animals and greatly loved her grandchildren, Caroline Thompson, Nathan Winningham, Sam Winningham and Hannah Neve. She was loved in return and will be missed. In lieu of flowers, donations may be made in memory of Ilse to the Children’s Fund of School Psychology: http://www.childrensfundofschoolpsychology.org/member-donate or PO Box 251, Edmonds, WA 98020. I will always have such fond and funny memories of your mom growing up. I will miss her plum soup and the way she always made sure that I was fed. I'm not sure why she thought I was in need of food, but she always made sure that when I was visiting your house that I got something to eat. I also remember going to the German food store on Roosevelt across from the University Library and the smells and sights were a blessing to behold. Perhaps some of my love of good food comes from my time hanging out with you when we were kids and the way Ilse would show me how to cook food? Not sure, just know that I love her plum soup and actually pretty much anything she set in front of me. 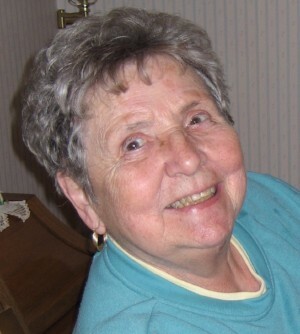 My Lovely Aunt Ilse was very much loved by our little family. We will miss her very much.